Ever feel rushed to finish your cereal because you know it'll get soggy? The Obol was created for this exact problem. 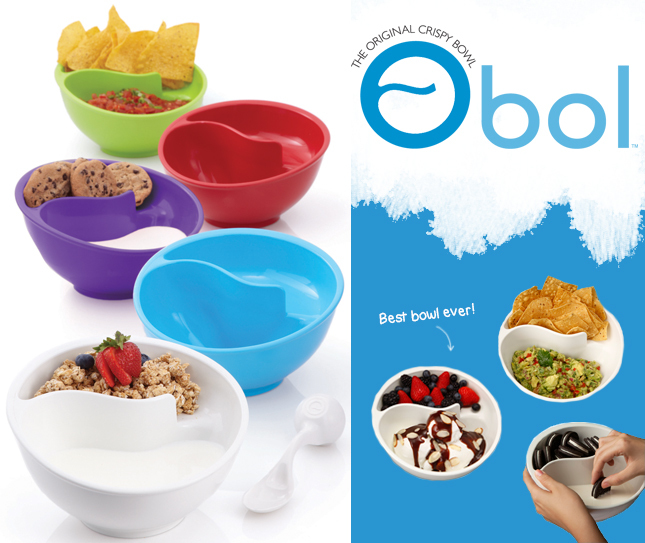 It's easy to hold, clean and allows you to eat at your own pace. All you have to do is 'Swoop n Scoop'. It was originally made for the milk & cereal duo, but others have gotten creative and now use it for crackers and soup, milk and cookies, or even veggies and dip. Being a cereal lover, I ordered one for myself. Sure enough, it really is as good as it looks! Get it here.